On a sunny July day, just before the schools had broken up for the summer we took a trip back in time to the 1950s. 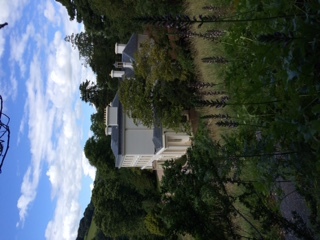 I have always wanted to visit Agatha Christies holiday home in Devon- Greenway House, now faithfully cared for by the National Trust. 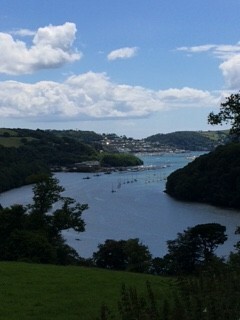 Agatha Christie called Greenway “the loveliest place in the world” and with the sun shining and the river glinting it certainly lived up to its reputation. Greenway is wonderfully located on a secluded hill overlooking the River Dart. There are acre after acre of grounds, filled with meandering walks, hidden follies and vantage points from which to take in the amazing scenery. 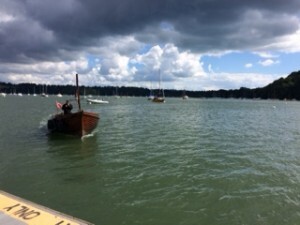 It is possible to drive (be aware you need to go online to prebook your parking space) but far better is to plan your trip and arrive in style it her by steam train or passenger ferry from Dittisham or Dartmouth. We opted for the ferry- approx a 40 min drive along the coastal path and devon lanes to Dittisham, a pretty little meandering village (with a nice pub overlooking the river!) At the Ferry Inn give the bell on the wall a good gong and the ferry man will come over and collect you. The pace of life slows as soon as you set foot on the passenger ferry and wander up the hill to the house. Although you asked not to touch items you can take photographs and I was even offered the chance to play her beloved piano! A pianist was playing jazz in the living room which filled the house with music – all to the endearing effect that the family had just stepped out into the gardens. Almost every room contains charmingly cluttered collections of china, boxes and archaeological treasures. Visitors are welcome to sit on one of the sofas and leaf through scrapbooks containing photos and quotations from Christies life. 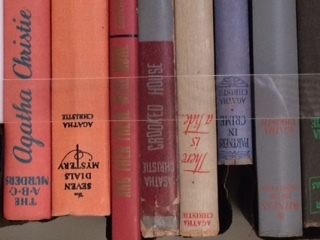 My favourite was The Library which contains a fascinating collection of books by Christie as well as other detective and local history books. 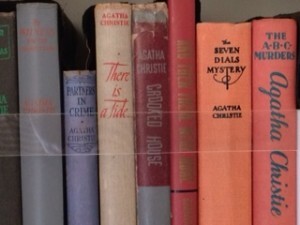 Although Agatha Christie wrote most of her books at her main home in Wallingford, she based Dead Man’s Folly at Greenway. The scene of the crime, the boat house, is about a 15 minute walk through the winding woods from the main house. Sit on the small jetty or upstairs by the fireplace where you can watch the sail boats, small ferries and gig rowers on the river dart. The grounds of Greenway offer spectacular view of the River Dart, make sure to explore the tennis courts (you can even play a game! ), walled gardens, follies and ornamental ponds. We recommend at least 3 hours to get the most out of your visit. The property is open to the public throughout the year. 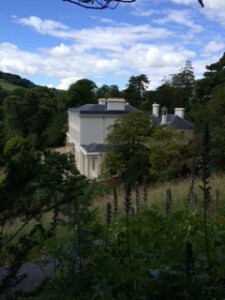 For more information on Greenway and the National Trust, visit http://www.nationaltrust.org.uk/greenway/. 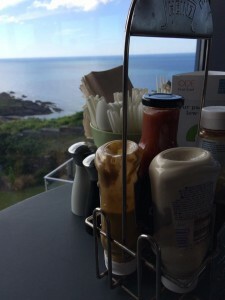 Breakfast is the most important meal of the day “breakfast like a king…” or so they say, so we set off this morning to one of South Devons finest (and most southerly) breakfast spots! 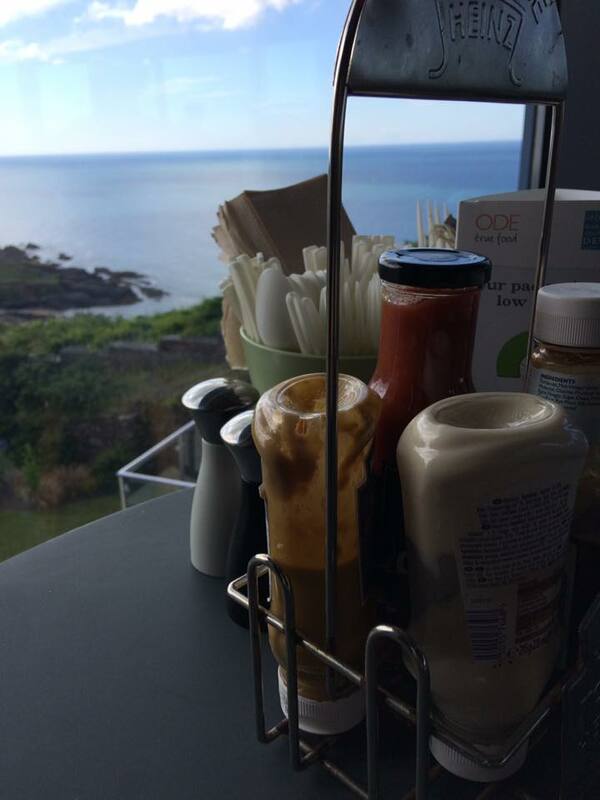 Leave your walking boots by the door and grab a table by the panoramic window or out on the terrace. The relaxed atmosphere (think background jazz music, open kitchen and friendly staff) sets the mood for a chilled out Devon day. Offering locally and regionally sourced produce they serve “family friendly food which doesnt cost the Earth”- their sustainable credentials even extend to food being served in a cardboard box and with biodegradable cutlery- all part of the experience! 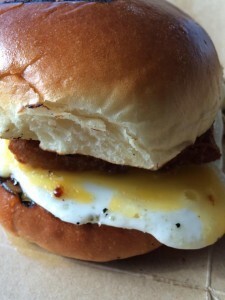 We opted for the porridge and breakfast baps, which were both delicious and very filling. Perfect for filling up before a day walking the South West Coastpath which runs outside (though I have to say we werent that virtuous!) or heading down the cliffs for a day on the sandy beach. They have a great selection of books and colouring pens for children and well behaved dogs on leads are welcome.